Our morning service starts at 11.00 am. This is our main service and is usually quite relaxed. Our service format is easy to follow, and led from the front so it is always clear what’s going on. 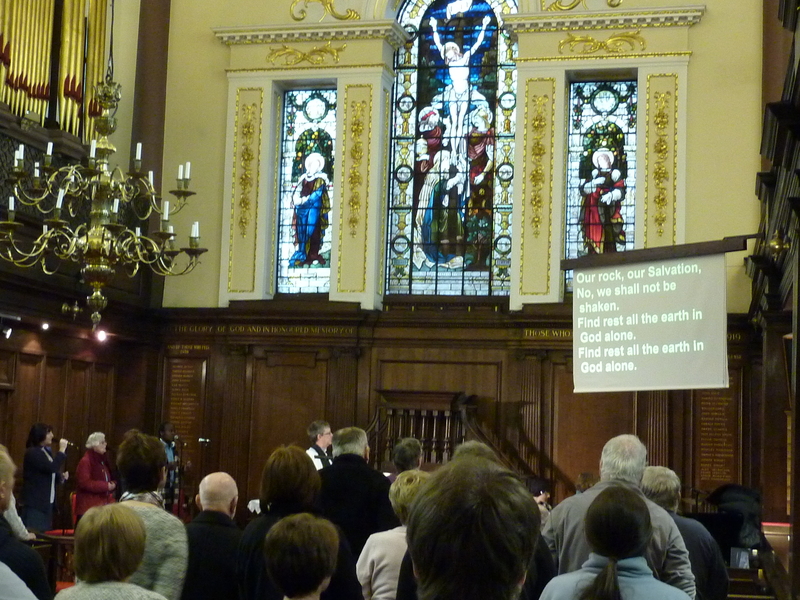 Words for the songs, hymns and responsive prayers are projected on a large screen so it’s easy to take part if you want to, but no-one will think badly of you if you stay seated, or choose not to sing. We want you to feel at home with us. People of all ages attend our services. If you have young children we aren’t worried if they make some noise during the service. We have a mixture of services on Sunday mornings: Trinity Together, Holy Communion, Morning Prayer and Healing Services. The services here are based on teaching from the Bible, worship (using a mix of both modern songs and traditional hymns) and times of prayer. The service usually lasts seventy five minutes. Tea and coffee is served after the service. 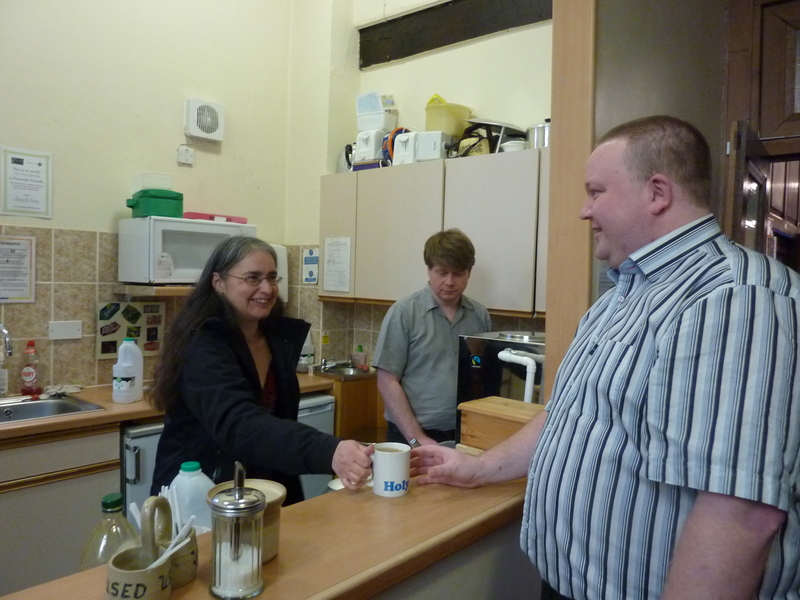 Holy Trinity Members enjoy staying to chat after the service and we would be delighted for you to join us. Sunday Evening Services are held at 6.30 pm. The evening service starts at 6.30. It is a much smaller service than the morning, but follows a similar format. Again we serve Tea and Coffee after the service.